It is easy for small business owners to not only become overworked and overwhelmed but to get stuck in that state. 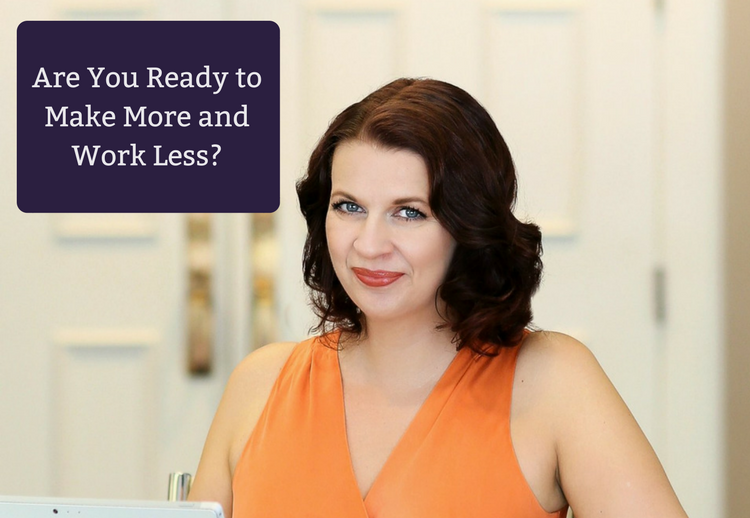 This for many seems to just be the price you pay for business ownership, but it is not only taking your time, focus and energy away from your family, it is actually preventing you from building the business you envisioned when you first started. The business that leads to your financial freedom. The business that runs smoothly and leaves you worry free when you are at t-ball practice or on vacation in Disney. The business that is so profitable and well run, buyers will pay you the highest price. Yes, this can be a reality. It’s time you learn how to increase profits, reduce redundancies, reclaim your time, and eliminate the headaches of day-to-day management of your business. Our speaker, Jenna Waites, is a process consultant that revolutionizes business to produce massive increases in profits. As the founder of 3 companies, a recovering engineer and 2-time Peace Corps volunteer, Jenna has learned how to combine her analytical, systems-based engineering background with an innovative and creative approach to develop custom business solutions for seemingly insurmountable issues. For the past 7 years as CEO of Waites Ventures, she has utilized her knowledge and experience to assist small business owners in creating streamlined processes that allow them to spend more time doing what they love while growing a successful and scalable business. Kimberly Deas graduated from the University of Akron with a B.S. in Chemical Engineering and minors in math, computer sciences and chemistry. She started her career as a systems control engineer and then quickly moving into software development, and on to starting her own marketing company. She expanded the company from the US into Europe where she lived for 7 years. She grew her start-up to a multi-million dollar business in over 20 countries, before moving back to the US in 2007. In 2012, Kim leveraged her extensive knowledge of business marketing and business operations to launch her career in business brokering. She saw an opportunity to provide a more professional services and partnered with Murphy Business and Financial Services.